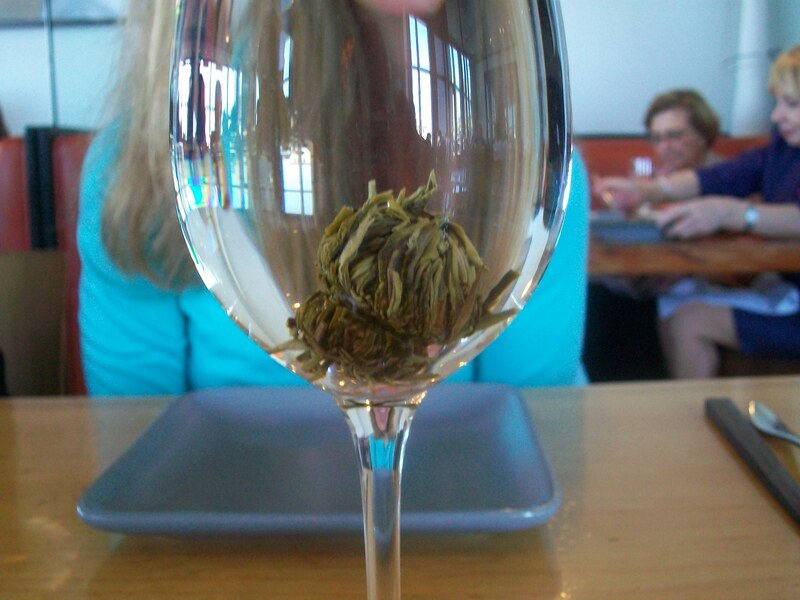 Drinking a cup of art tea at the Slanted Door in San Francisco is a dynamic experience where art is created before your eyes. I love to watch the ugly dried up brown blob in my clear wine glass evolve. I love to watch as the hot water slowly unfurls the flower’s petals, changing it into a beautiful, aromatic, delicate red flower. What is art tea? 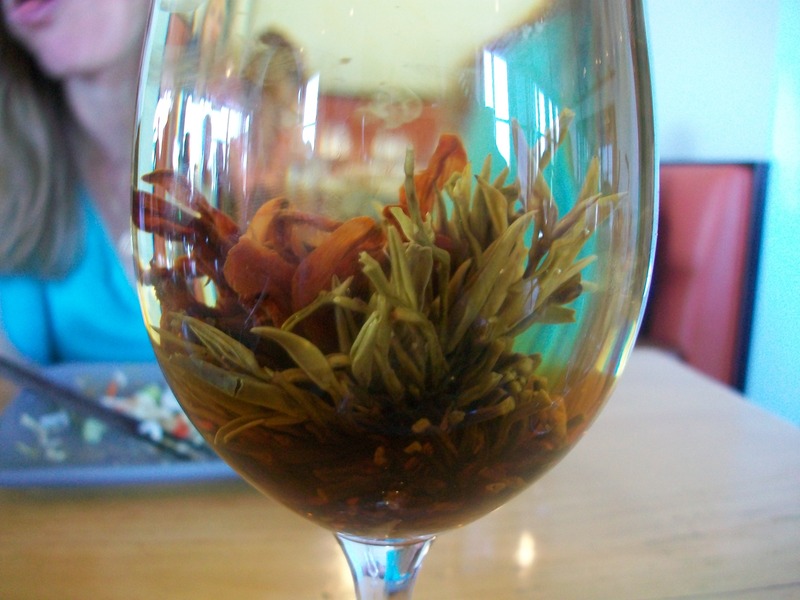 Also called “blooming tea,” art tea refers to a dried flower surrounded by tea leaves whose petals unfurl as the tea steeps and the leaves infuse the water with fragrance and flavor. Where before I was leery, I now have no hesitation and eagerly sip the jasmine flavored green tea surrounding the beautiful lychee flower. California, Food, Gluten Free, San Francisco, U.S.